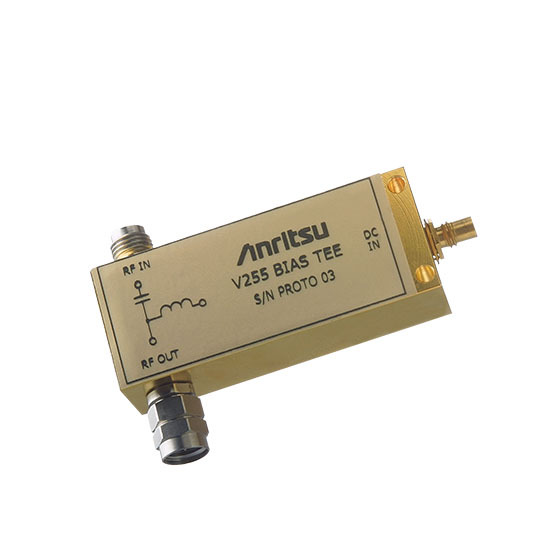 The Gen II Ultra Wideband Bias Tee is designed to meet the high electrical performance requirement of Passive components in Optical Communication Networks. Given a broader bandwidth of 50 KHz to 65 GHz with low Insertion loss and very high Return Loss makes it ideal to use in 40 Gbps system to bias Optical Modulator and Broad Band Data Driver. It's fast Rise Time and Flat Group Delay performance allows extremely accurate measurements within a laboratory environment. The Bias Tee comes with a standard V Connector and assures excellent impedance match across the wide bandwidth. The DC Signal can be applied or extracted from the Bias Tee through the SMC Connector at the third port. As with our other Bias Tees, this Bias Tee also comes with a one year warranty.